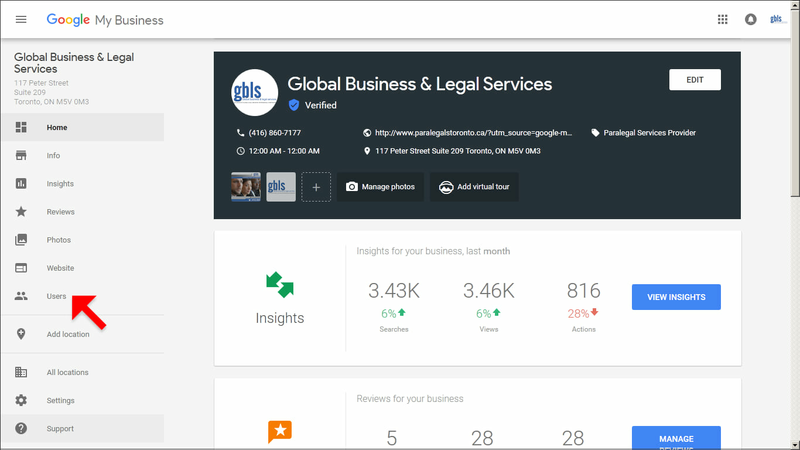 Step 1 > Visit this URL and log in to the Google Account associated with your listing: https://www.google.com/business/. Step 2 > Click Users from the menu on the left sidebar. 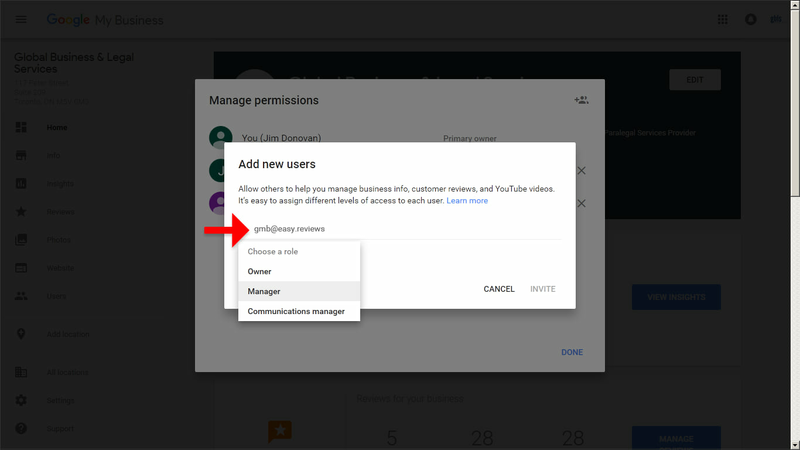 Step 3 > In the top right corner of the “Managers permissions” box that appears, click (Invite new users) icon. Step 4 > Type in this email address info@insigniaseo.com. Under “Choose a role”, select Manager. Then press the INVITE button. 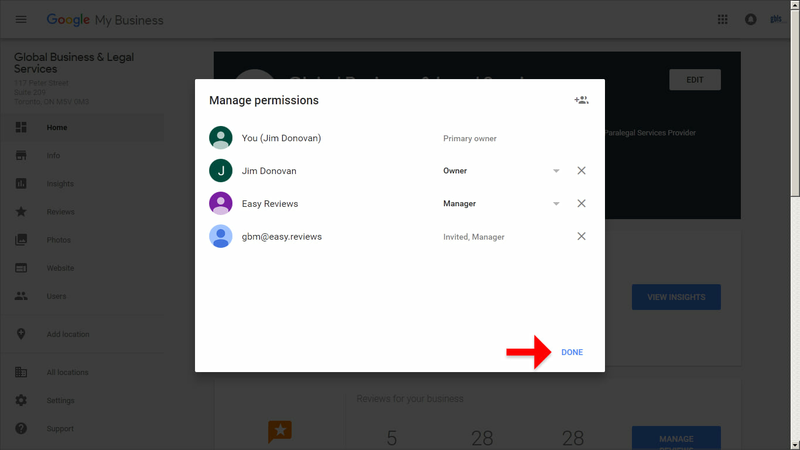 Step 5 > Once you see the Manage permissions screen, press the DONE link. Step 6 > Success! This will allow us to manage your Google My Business listing. 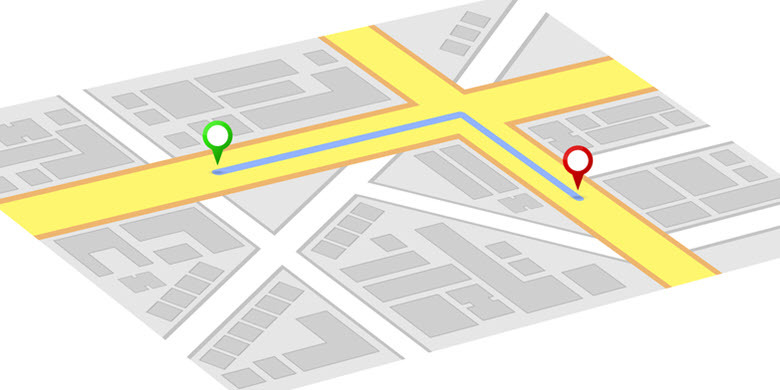 Note that you can revoke this access at any time.